I am a professional record producer, and in January of this year I upgraded my recording system, which comprised a G4 Mac running OS 9.2 and Logic v6.3 through a Digidesign Mix Plus system. While this platform had occasional crashes, it was pretty stable, as it should be given the many years of development on all three elements. I replaced it with a G5 running Panther on Pro Tools HD Accel with a Logic 6.3.3 front end. With the kind help of the guys at Sound Control, I have trudged through 10 months of constant problems: crashes, freezes and lost data. 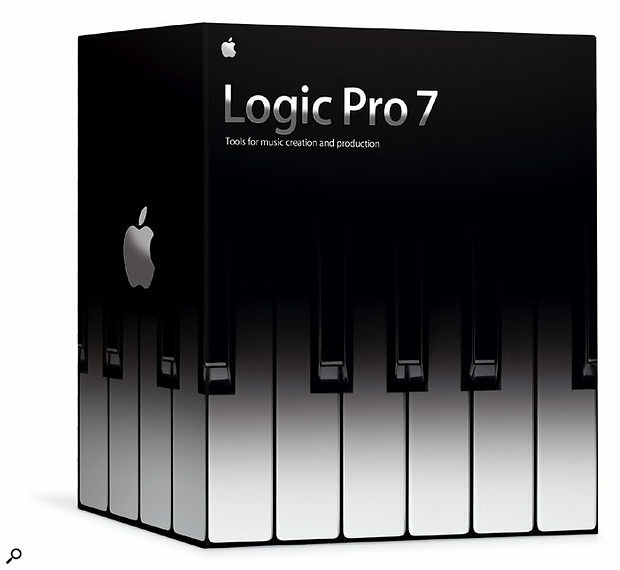 When Logic Pro v6.4 came along for £100, I was very disappointed to see no improvement. When I booted the Logic Pro v7 upgrade I purchased for a further £200, it at first rejected my AU versions of such industry-standard plug-ins as Stylus, Trilogy, FM7 and Battery, and then, whilst I was trying Sculpture, caused such a crash that I have been unable to restart the G5 even from CD. I'm now waiting for the guys at Sound Control to bail me out. I have spoken to many other professional studio owners and producers who have made this upgrade, and all have suffered. Instead of fixing these problems in version 7, Apple seem to have concentrated on Garage Band compatibility and Quicktime movie thumbnails. We all feared Apple's buyout of Emagic would mean a more distant relationship with Logic's user base, and this fear seems to have been well founded. Change in a hi-tech area such as music technology is inevitable, and sometimes painful. I get that. I can deal with software released too early, and hardware unable to do what it says until the next version, six months later. What I can't deal with is an apparent wilful refusal by major players such as Emagic/Apple to fix deep-rooted problems in their software many months after releasing it. Thanks for featuring my synth in The History Of Roland. I'd like to point out that I'm still the boss of Mute. Part 1 of The History Of Roland in last month's issue included a picture of Daniel Miller's Roland System 700, taken when we interviewed him in 1998, with a caption that referred to him as 'the then-boss of independent UK record label Mute'. Many apologies! In Paul Wiffen's October review of the M-Audio Keystation Pro 88, he said that he got the keyboard's transport controls working properly with Logic after a shaky start, but didn't exactly say how. Could Paul, or anyone else, shed some light on this? I'm buying a Keystation Pro 88, and have Logic. SOS contributor Paul Wiffen replies: The problem is that the Transport controls cannot be preset in Logic using the Keystation's LSO file. However, as I stated in the original article, it is possible to get them to work correctly by setting up the MIDI Learn function in Logic 's Key Command window. This forms part of the User Preferences rather than any element of the individual file, so it cannot be saved in the normal way. Paul Wiffen explains how to get the Keystation Pro 88's transport controls to communicate with Logic. There are two ways to achieve the required response from the transport buttons. I'll deal with the easiest one first, as it always ensures the full 'on' value is sent on each press of the button. Firstly, press the RW button on the Keystation Pro 88, and then press the Data LSB button twice and enter '127'. This sets the second toggle value to 127 (the first should already be set to this value), so that each press of the button is transmitting a controller value of 127, or full on. Repeat this for each of the transport controls in turn. This works, but might be seen as a bit of a kludge, as the buttons are technically still toggling, they're just sending 'on' messages with each press. The second solution is more elegant, as it can serve as a general solution to this kind of problem. It causes an 'off' (controller value '0') to be sent when the button is released (instead of on the next push of the button). The next push of the button therefore acts as an 'on' again. Press the RW button on the Keystation Pro 88, then the Control Assign button, and enter '146'. This assigns the button to 'MIDI CC on/off' (this is covered in Appendix B2 of the Keystation Pro 88 Advanced User Guide). Now press Program twice to assign the MIDI CC value you want the button to send out, ready for the MIDI Learn function in Logic to accept it. Note that the Data LSB should be set to '0' for this to work correctly, so it would not work in conjunction with the first method described here.